This absolutely beautiful mirror features a long rectangle frame with charmingly detailed surroundings finished in antique silver. 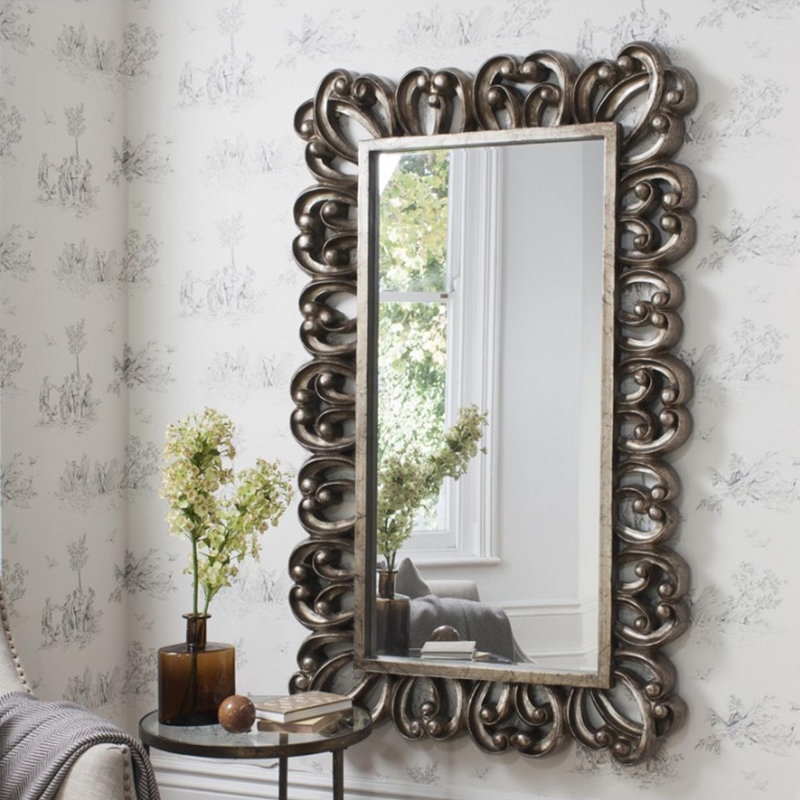 Fenton Wall Mirror will make a bold statement in your home, making for a great focal point in any room you choose bringing its wow factor along with it. It offers a huge viewing area, functioning perfectly as a wall mirror.